Named after the famous Dutch painter. 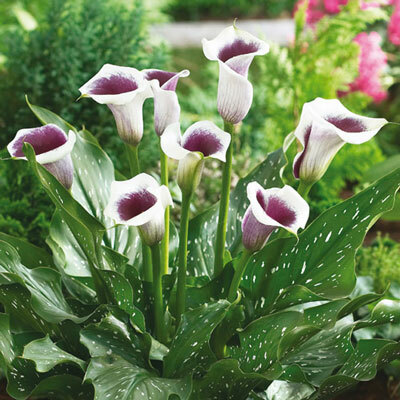 Large, creamy white flowers with a deep plum-purple throat. Skinny, speckled foliage. 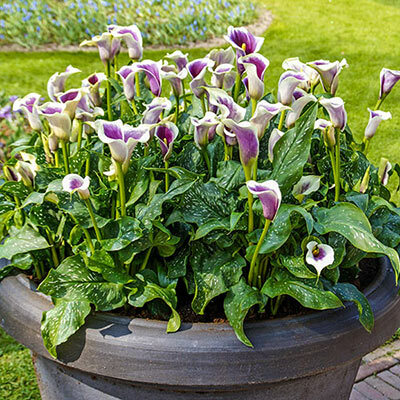 These beautiful, cup-shaped, upright trumpets are about 5" tall and 2-3'' across. Enjoying full sun to partial shade, they are the best varieties available anywhere. Calla lilies are native to South Africa. They can be used in beds, borders, patio pots or planters...also as indoor house plants. 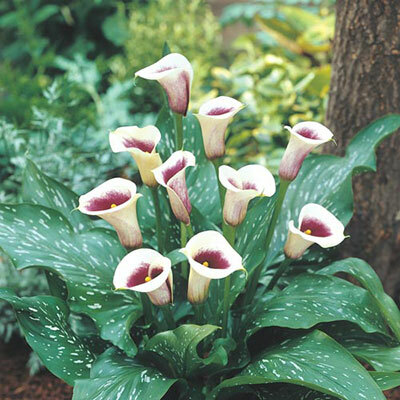 Attractive, broad, sword like, rich green foliage. Upright trumpet shape of 5" tall and 2-3" across.